Netflix To Spin Off DVD Service : The Two-Way The company says DVDs-by-mail and streaming movies on the Web have become two different businesses with different cost structures. Now, you can pay for just one or the other — or both, of course. 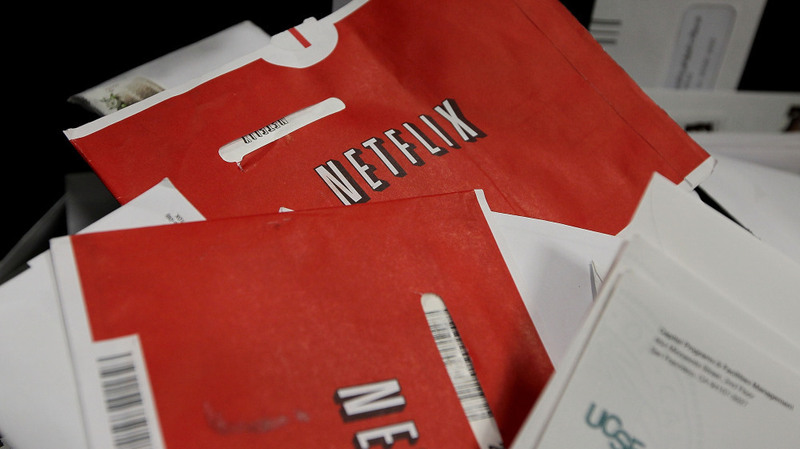 The red Netflix envelope is due to be replaced by Qwikster. Saying that "I messed up," Netflix CEO Reed Hastings announced late Sunday evening that after many complaints from its customers about a 60 percent increase in its fees, the company is splitting its services. Soon, if you just want DVDs-by-mail, you'll be dealing with Qwikster (Hastings says the name "refers to quick delivery). If you want to stream movies and other content, the company you'll be using will still be called Netflix. So, if you don't want to pay the recently increased fee, you don't have to — if you don't want to get both services. But if you still want to get DVDs-by-mail and stream content, the total cost will still be $16 per month — the increased fee that cost the company about 1 million of its 25 million customers, as The New York Times' Media Decoder blog points out. Hastings said in the blog post he published Sunday that "we realized that streaming and DVD by mail are becoming two quite different businesses, with very different cost structures, different benefits that need to be marketed differently, and we need to let each grow and operate independently." He conceded that "some members will likely feel that we shouldn't split the businesses, and that we shouldn't rename our DVD by mail service." But, Hastings said, "our view is with this split of the businesses, we will be better at streaming, and we will be better at DVD by mail." Hastings also said that Qwikster will have "a video games upgrade option, similar to our upgrade option for Blu-ray, for those who want to rent Wii, PS3 and Xbox 360 games." Our colleague Linda Holmes over at Monkey See says the company's plan "seems wildly unlikely to satisfy customers who are still well aware of what a price increase looks like."